On October 4, Hurricane Matthew made landfall on the Caribbean, bringing widespread devastation in Haiti, Cuba, the Bahamas and throughout the region. The Foundation family’s thoughts and prayers continue to be with those affected by the storm. Below are organizations helping to lead the relief effort in the Caribbean. We encourage you to consider supporting groups like these as they work on the ground to help families, communities and businesses rebuild and recover. — Beacon of Hope is collecting funds that will go directly to repairing, rebuilding and reestablishing homes, schools and farms in Haiti. Click here to donate. — Catholic Charities of the Archdiocese of Miami is collecting donations to help post-Matthew relief and recovery efforts throughout the Caribbean. Click here to donate. Checks may be sent to 1505 NE 26th Street, Wilton Manors, FL 33305. — Catholic Relief Services will distribute blankets, kitchen and hygiene kits and other emergency supplies as needed. They will also monitor potential outbreaks of cholera and other diseases in Haiti, Cuba and other affected countries in the Caribbean. Your donation will help families receive immediate relief. Click here to donate online. You may also call 1-877-HelpCRS. — City of Miami fire stations will be accepting dry foods, diapers, baby food, powdered formula and first aid supplies to send to Haiti. Donations may be dropped off from Saturday, October 8th through October 15th. Click here for a full list of fire stations in the city. — Cross International will send food, medicine and other commodities to the hardest hit areas of Haiti. Click here to donate. 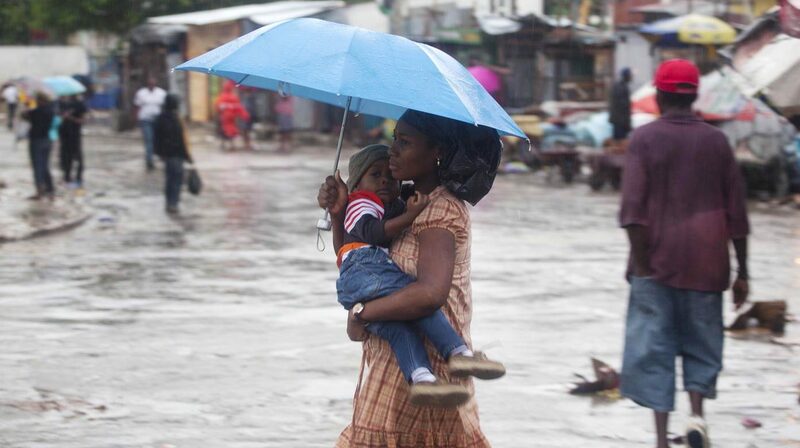 — Food for the Poor will purchase, ship and deliver emergency supplies to help Haiti residents. Click here to donate. — The International Red Cross is working in Jamaica, Haiti, the Dominican Republic and Colombia to provide relief to community members. Click here to donate. — The Miami Dolphins will be collecting supplies to support relief efforts in Haiti, Cuba and the Bahamas at their football games throughout October. Click here for a full list of needed supplies. — Man Dodo Humanitarian Foundation is collecting donations and supplies like bottled water and medical supplies to send to Haiti. Click here to learn more. Supplies may be taken to 3333 NW 168th Street, Miami Gardens. — Mission of Hope Haiti is leading relief efforts to provide meals, water, sustainable housing and medical care in Haiti. Click here to donate. — Notre Dame D’Haiti Catholic Church is asking South Floridians to donate dry foods, diapers and building supplies to be sent to Haiti. — Sant La Haitian Neighborhood Center is collecting donations to be distributed to the most devastated regions of Haiti. Checks made payable to the Sant La for South Florida Haiti Relief Group may be sent to 5000 Biscayne Boulevard, Miami, FL 33137. Click here to donate. — World Vision is distributing emergency supplies, such as tarps, water containers, hygiene kits and blankets. The organization has planned to provide aide to nearly 250,000 people in Haiti. Click here to donate. The state of Florida is also bracing for impacts from the storm, which could affect the state through Friday. Below are organizations helping to lead local relief efforts. — The Salvation Army will distribute food, water and snacks after the storm makes landfall and wherever there is need. Click here to donate. — Volunteer Florida has established a registration page for those interested in volunteering post-hurricane. Click here to register. Please add the South Florida Haiti Relief Group, led by County Commission Chairman Jean Monestime and powered by Sant La, Haitian Neighborhood Center. Donations may also be mailed to our offices, 5000 Biscayne Boulevard, Suite 110, Miami Florida 33137. Additional information pleaser call: 305 573-4871. I benefit fгom looking at yоur website. TҺanks a lot! I treasure the knowledge on your website. Many thanks.